We live in the path of the monarch butterfly migration and are lucky enough to see vast numbers of them on the coast of central California. Though we see lots of monarchs, there have been plenty of varied colored butterflies flitting about our garden lately. Felt like I must make something to reflect the joy they inspire, so voila! Sapphire Butterfly Bracelet This amethyst and sapphire butterfly flies through lush foliage amidst colorful flowers and leaves. 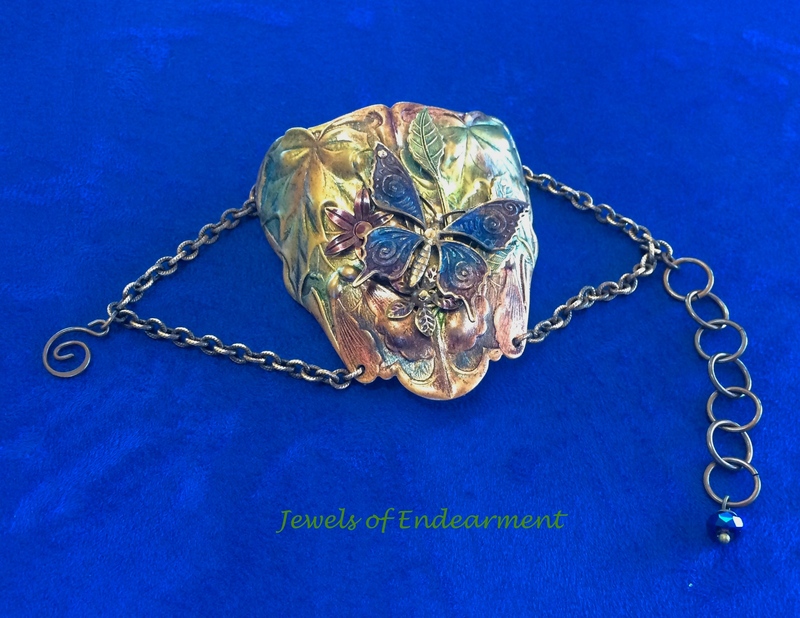 This entry was posted in Bracelets and tagged Bracelets, hand colored, Hand crafted, layered stampings and filigree, painted and embossed. Bookmark the permalink. I love the butterfly pieces! Such talent! 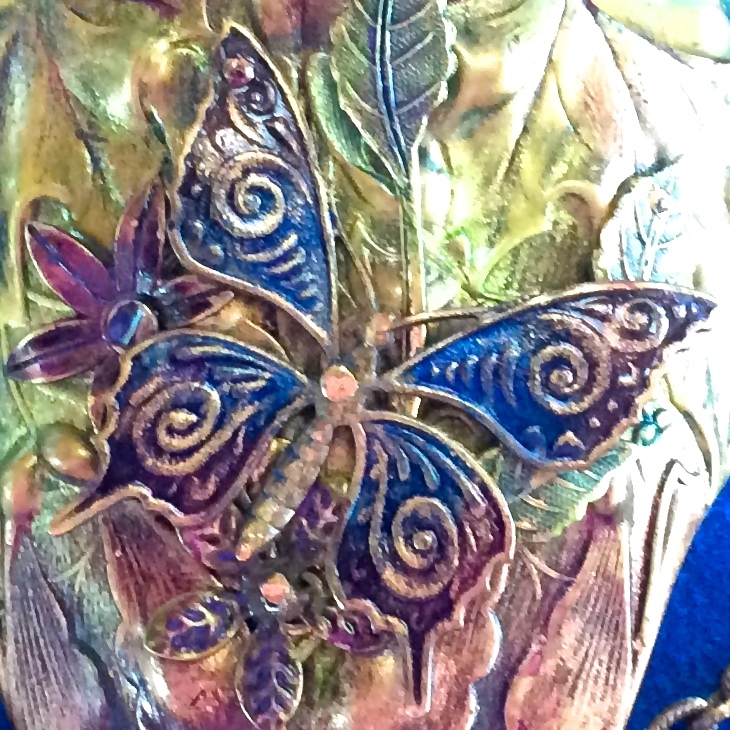 The butterfly bracelet is a true work of art!